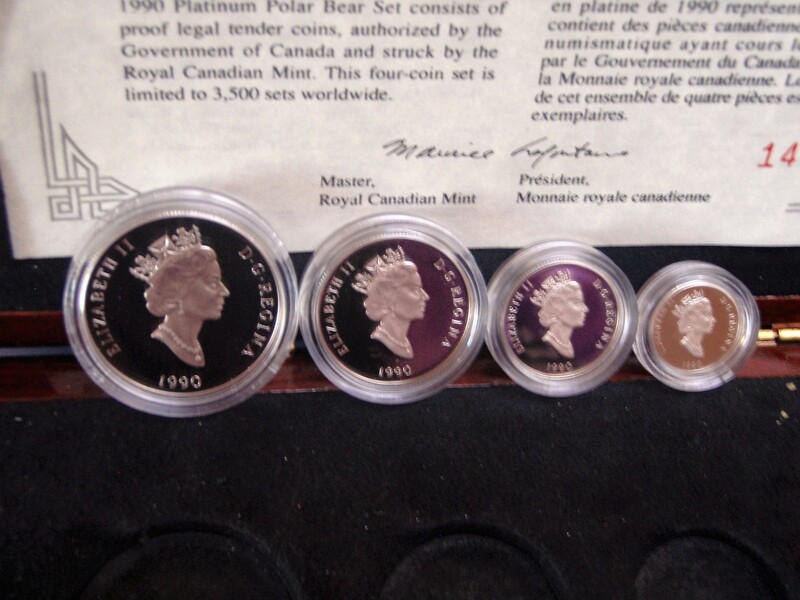 Proof Platinum 4 piece set; the first issue for the sets. Contains one each coin: 1oz, 1/2, 1/4 1/10th. 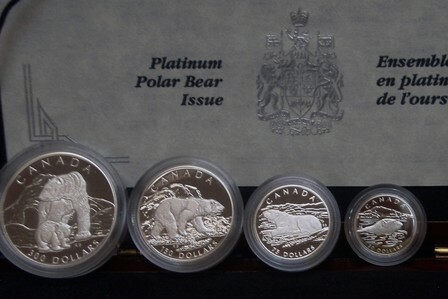 Special design on the coins of the Polar Bear, "Monarch of the North" original transfer by Robert Bateman. S O L D !